Having a problem with your garage door and don’t know what the exact problem is? Don’t worry, Pros On Call specialize in garage door repair and we can quickly access the situation and remedy the problem for you. We can also replace any broken garage door components for you that are beyond repair. This will allow you to save money since you won’t have to install an entirely new garage door (unless you want to). Contact Pros On Call for fast service, friendly assistance, upfront prices, and top-quality solutions by licensed, bonded, and insured garage door repair experts near you. Having a problem with your garage door and don’t know what the exact problem is? Don’t worry, Pros On Call specialize in garage door repair and we can quickly access the situation and remedy the problem for you. We can also replace any broken garage door components for you that are beyond repair. This will allow you to save money since you won’t have to install an entirely new garage door (unless you want to). Our mobile units are ready for when you need us, equipped with the latest tools, equipment and the expert technicians. All of our specialists have been in the garage door repair business for at least five years servicing and installing the top name brands like Linear, Genie, LiftMaster and more. We provide the service, how we would want to have service provided to us. We are honest, dependable, reliable, and we will give you upfront pricing with expert advice. And, we are licensed, insured and bonded for your protection. Replacing the cable needs to be done by a technician to ensure that it is properly installed, otherwise it might twist while the door is trying to open and cause more damage. How do I know if the problem is with the springs? If the door suddenly dropped, it is probably the result of a broken spring. The spring holds tension. When it can’t hold any more tension it breaks, causing the door to fall, which is dangerous. We have the parts to repair the cables, broken springs and garage door locks quickly and safely. Did you run into the garage door and you don’t want anyone to know (Happens more than you think)? Or maybe you are looking for a new design and replacing the garage door panels is a cost-effective way to update your property. No matter what the reason is, our friendly staff at Pros On Call has got you covered when the unexpected happens, thanks to our emergency garage door services. Our expert technicians are the best in the business for garage door repair. We can repair the panel, or replace the whole panel to match any style that you choose. Once a garage door gets off track, it is better to leave it alone until a garage door repair tech gets there. Do not try to make the garage door unit run. This can cause a strain on the unit and possibly cause further damage. We understand that when you can’t close your doors you need someone there as quick as possible. Call us. If you checked everything that you can think of and you still are having trouble, you might need the unit checked along with the garage door remotes. Pros On Call will do diagnostic testing to find the problem. Our professional installers can help fix the problem or get you upgraded to one of the latest technologies in garage door openers. Maintenance is important. 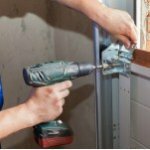 Door seals need to be checked for cracks and wear. Old ones need to be replaced. By doing this, you can save money on heating bills! Avoid accidents by having the recommended two checks per year, especially if you have children. If a spring breaks, the door will fall too quick to react. Request a garage door maintenance check today. Those few steps help most garage door owners solve their problems quickly. Pros On Call are here for emergencies, garage door installations, and all other garage door services. We take pride in everything we do. We are the professionals who provide friendly, fast and outstanding service. Our staff of expert technicians provides quality assistance and excellent customer service. Call today. We are here to help. 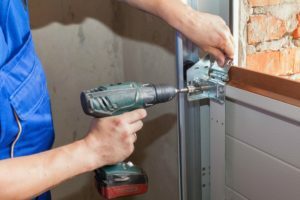 Garage Door Repair https://prosoncall.com/garage-doors/repair/ 3.9/5 based upon 29 reviews.